Whoosh! 10k in value gone from my retirement accounts in a few days. What an awesome amazing problem to have. It also doesn’t matter. Like it matters, but not to me, not right now. It would matter if I was about to take out money from my retirement accounts tomorrow. Since I’m holding them for a while, I only even KNOW they dropped so much because I check very frequently. This is why money advisors recommend “set and forget.” Staring too often creates anxiety and could lead to poor decisions like pulling out money once the balance dips. I own a home! And all the joys that come with it. Like $4,000 plumber bills that include 4 plumbers, toiling late on a Friday night, trying to finish up replacing the whole house waste stack so water can again be turned on for everyone. Fun. In good news – I hopefully never have to do that particular piece of work again. There’s a lot of mechanical issues and updates needed to this place. They’re necessary but also unsexy and expensive. I want to strip paint! I want to rethink the kitchen layout! Instead, I’m hiring pros who can accomplish things better and faster than me to tackle tough problems like masonry repairs on a deteriorated foundation wall and mystery plumbing leaks that have rotted out a bathroom floor. I’m rocking my 401k. I’ve upped my contributions to 30% (which hurts) in order to ensure I’m able to max out the $18,500 contribution limit this year. Next year I’ll take a steady approach to space out the $19,000 max over 12 months instead of going from trickle to firehose. 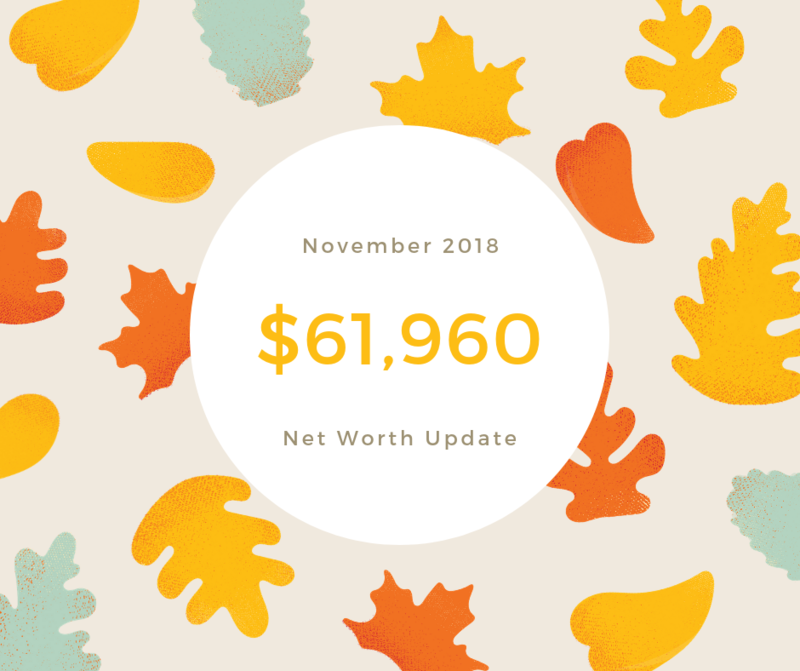 Net Worth Update: October 2018<< >>I blew almost $40,000 in 5 minutes. Here’s where it went.